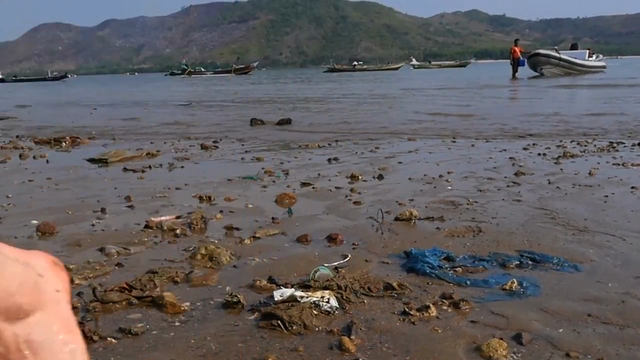 For decades, plastic has been making lives better for people around the world. The problem of plastic pollution, however, has become a growing one with more than 30 percent of plastic waste escaping collection systems and going into the environment. Ocean plastic has reached a global crisis level, with 8 million metric tons of plastic entering the ocean every year – the equivalent of one dump truck load every minute. 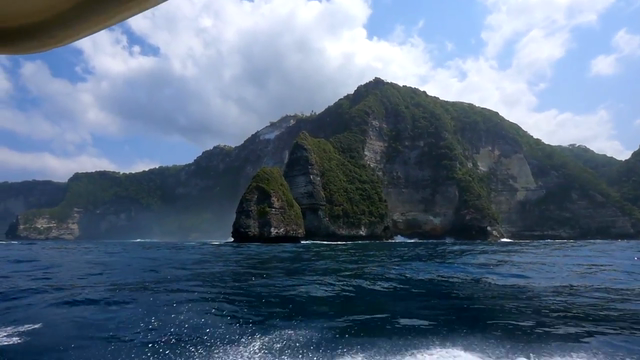 [i] Fisk Johnson, Chairman and CEO of SC Johnson, witnessed this pollution himself on a dive recently in Indonesia. Most recently, in 2018 the company launched Ziploc® brand recycled trash bags, proving that recycled plastic film can be diverted away from landfills and reused for valuable new items instead. The trash bags are the first made with 100 percent post-consumer recycled (PCR) plastic film collected through a U.S. recycling center. SC Johnson has relentlessly focused on designing unnecessary packaging out of its products for years. From 2011 to 2016, the company removed 8.5 million kilograms of packaging materials across its business. In 2017, it cut an additional 1 million kilograms of plastic from its product packaging. 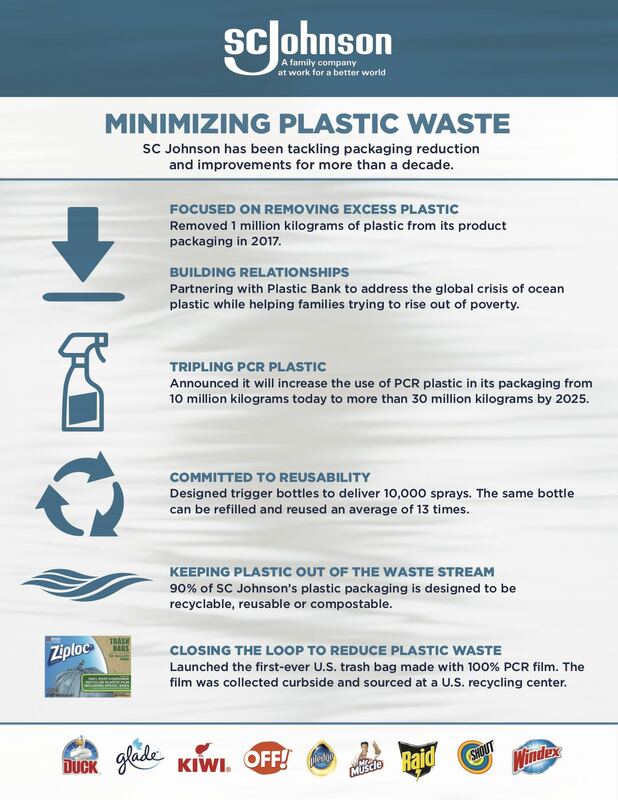 Just as important, 90 percent of SC Johnson’s plastic packaging is designed to be recyclable or reusable. Its Home Cleaning trigger bottles – for products like Windex®, Scrubbing Bubbles® or Mr Muscle® – are designed to deliver 10,000 sprays. This means the same bottle can be refilled and reused an average of 13 times. The company has sold refills in numerous global markets for years and launched concentrated Home Cleaning refills in the U.S. since 2011.
bold decisions. In 2004, SC Johnson eliminated PVC and PVDC from its products and packaging, including Saran® Wrap, due to concerns about the release of toxic chemicals into the environment when materials containing chlorine end up in municipal incinerators. While other companies continue to use PVDC, and the ingredient’s removal created a competitive disadvantage for the iconic Saran® Wrap brand, it was the right thing to do. 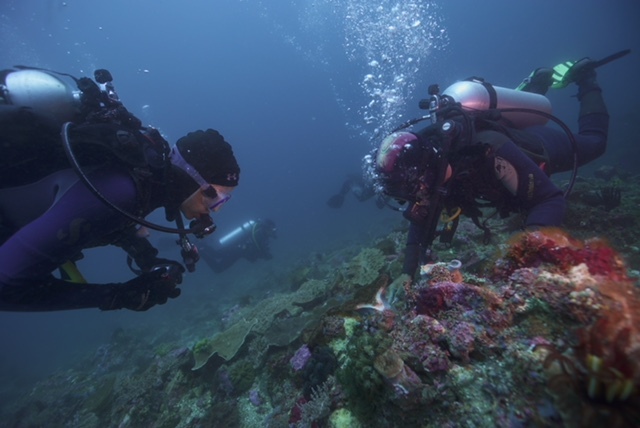 A lifelong diver, Johnson recently participated in a dive with long-time NGO partner Conservation International to explore the issue firsthand in the waters off the coast of Indonesia. 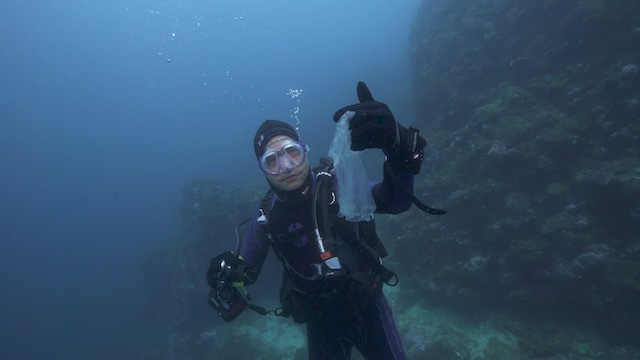 He was able to see the diversity of marine life, but also better understand the risks of plastic in the water and washing ashore on beaches.